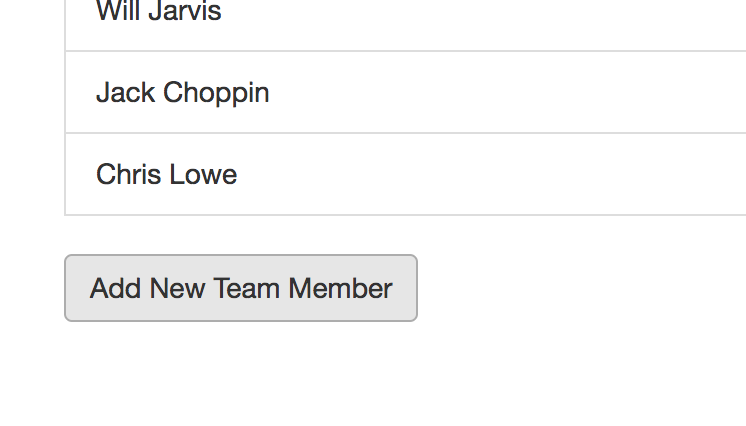 If you want to add a new team member to your app, this is how you do it. 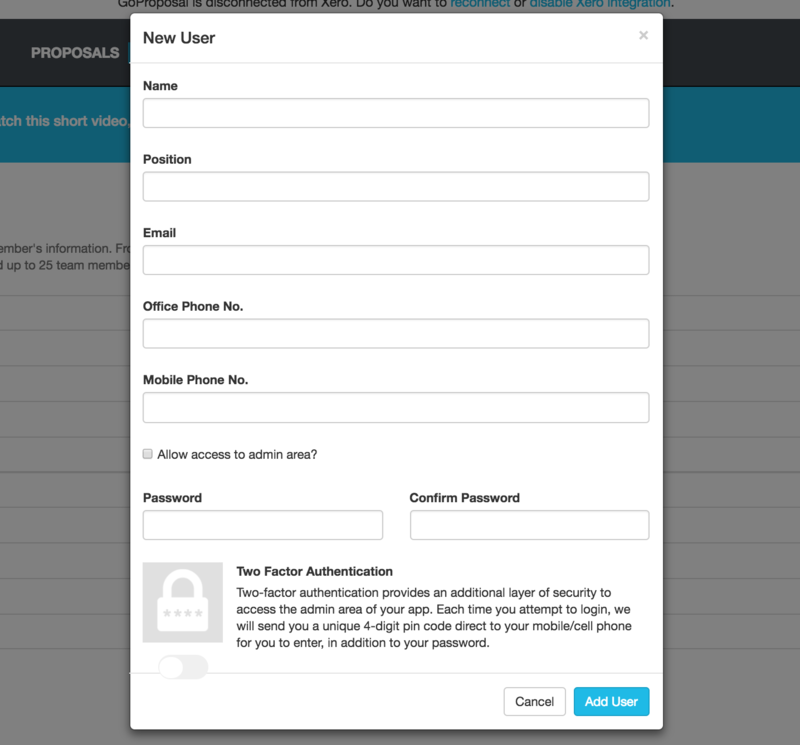 Adding new team members and setting their privilege levels is really easy with GoProposal. This is how you do it. 5. Decide if you want this person to have Two Factor Authentication. This is where they have to also add a special code which will have been text to them, before they can login. 6. Moving forward, the Team Member will be able to set their own password but you can overwrite it if you need to. 7. The number of users you can add will be determined by your subscription plan.